"As a middle child of five, I come from humble beginnings in Kalihi-Palama. It was a struggle for my parents to keep a roof over our heads and food on the table. My dad worked as a carpenter and mom worked evenings as a waitress. My siblings and I learned to shoulder responsibility for one another at an early age. I know what it's like to live from paycheck to paycheck. A quality public education and the strong work ethic instilled by my parents helped me hope for a better future. It is important that people have hope... hope for a good paying job, hope to one day own their own home, hope to be able to afford to send their children to college, and hope for a better future. With over three decades of public service, I know what it takes to find solutions, persist to get answers, and get things done." Healthcare is a human right. As your representative, I will fight to protect health care and senior citizen programs that are so vital to the fabric of our society. 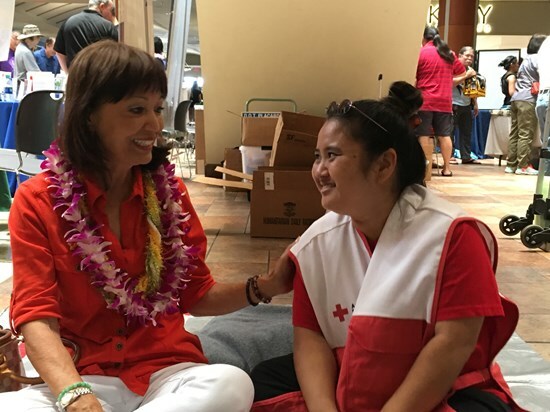 Hawai‘i led the nation in providing quality and affordable health care with our Prepaid Health Care Act and I will always work to ensure our kupuna have access to the healthcare they need. The original premise of the Affordable Care Act (ACA) was to make healthcare affordable and accessible to all. By working together with all constituencies, I will advocate for making adjustments to better manage the program's costs and effectiveness. Healthcare is critical and we need to revalidate the original fundamental assumptions to ensure we are meeting the original objectives of the ACA. I will work tirelessly to preserve and expand Medicare and fight to ensure continued and expanded Social Security for our senior citizens. Public education is a critical equalizer. If not for public education, I wouldn't be who I am today. There are too many federal mandates and too little funding to implement them. 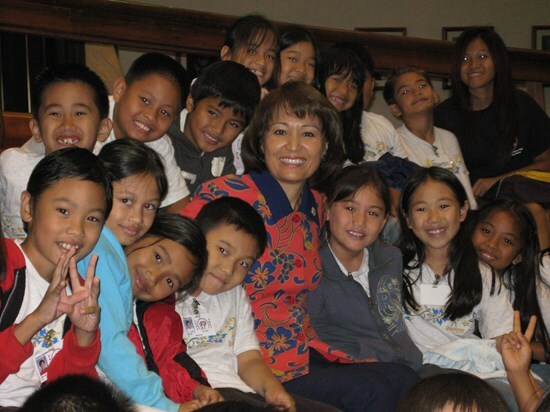 I have been an advocate for local home rule and will fight for Hawai‘i to have more control over public education systems so we can tailor our teaching needs to suit our particular strengths and weaknesses. It is imperative that our youth have access to high quality, affordable higher education. The skyrocketing cost of college has burdened graduates with huge loan debt. I will fight for low to zero interest rates on student debt and make it easier for graduates to pay off their loans. I will push for incentives such as granting federal funds to states that lower tuition costs for quality education. Improve salaries for teachers and funding for school infrastructure. I have always supported a woman's right to choose. In the Senate, I supported initiatives to increases access to safe emergency contraceptives, access to quality reproductive health care, and provide better care for low-income women and children. As a working single mom, I will fight for legislation to ensure equal pay for equal work, eliminate pay discrimination on the basis of gender, and give women greater protection from sexual harassment, violence, and domestic abuse. Politicians are trying to turn back the clock and make dangerous erosions to women’s rights. Dictating to women what they can do with their own bodies is unacceptable and will not be tolerated on my watch. Workplace policies have not kept up with the needs of our changing workforce; and the minimum wage no longer provides a sustainable, livable income for Americans who are trying to make ends meet by working two or more jobs. Politics has no place in scientific knowledge and achievement, particularly when that knowledge can preserve and protect our planet for future generations. Ignoring the advice of scientists throughout the world regarding the dire impacts of climate change is an irresponsible and reprehensible position. I will not compromise on protecting Hawai`i’s land, air, and water. I believe in investing in Hawai`i's future and diversifying our economy. I will fight to increase federal funding for our military, education, infrastructure, and housing. Our pledge of allegiance states "…with liberty and justice for all." Sexual orientation is not excluded from this promise. I support all Americans’ right to self-identify, love and marry as they choose. Regardless of sexual orientation, every citizen of this country is entitled to all social benefits afforded by law. All eyes are on the Pacific Region, as the rhetoric ensues among the United States, North and South Korea, Japan, and China. The reliance on the highly-educated and experienced diplomats of our State Department has been relegated to a back seat as the President tweets off-the-cuff remarks and engages in trade wars at a "speed-dating" pace. Hawai`i's strategic importance as a location of critical military installations places us in alarming danger, should an act of aggression occur. We must insist on adherence to the advisement of State Department career officers who understand the nuances of dealing with foreign countries. The overriding answer to homelessness is found in these two words: affordable housing. The overwhelming majority of homeless individuals and families can be eliminated by establishing strong policies supporting the development of affordable housing, nationwide and particularly in Hawai`i. We continue to fail to address this issue in a meaningful way, as we watch our homeless population grow with a preponderance of local, Hawaiian people affected. I support gun control measures that address more effective screening of gun applicants and the elimination of devices which convert weapons into automatic mode. I have personally sponsored legislation on gun control in Hawai`i to ensure Hawai`i maintains the strict gun laws that ensure public safety. America was founded on the principles of freedom and protecting those fleeing from oppression and tyranny. We must create a pathway to citizenship for those who have entered the U.S. illegally and now face uncertainty because of their status. In particular, we must be sensitive to children born in the U.S. of parents who entered illegally. These are now children of our great country who are here through no decision of their own. I am committed to preserving and perpetuating Hawai`i’s host culture. Having had the honor of being a student of Aunty Maiki Aiu, one of the foremost leaders of the Hawaiian renaissance, I have made it my mission to create a Hawaiian Dance and Music Center, which will showcase and preserve the music, dance, and heritage of the Hawaiian people.